For anyone missing former BORN's Vo. Ryouga's voice, the singer has come back with a new band "RAZOR" featuring members from Sadie and My BACTERIA HEAT IsLAND. 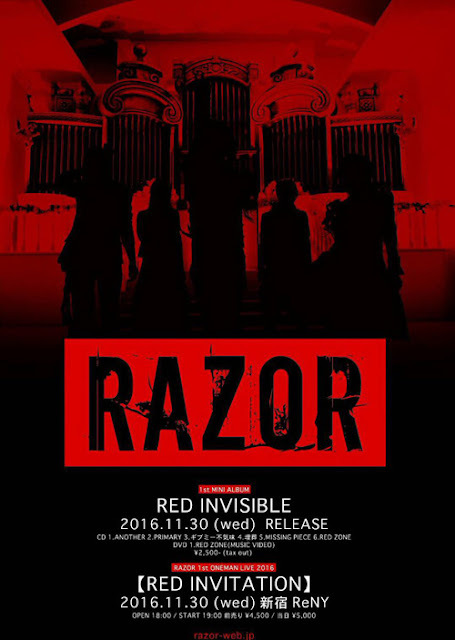 RAZOR announced their debut date prior to sharing their band name, and they held their first live at Zepp Tokyo on October 16th. 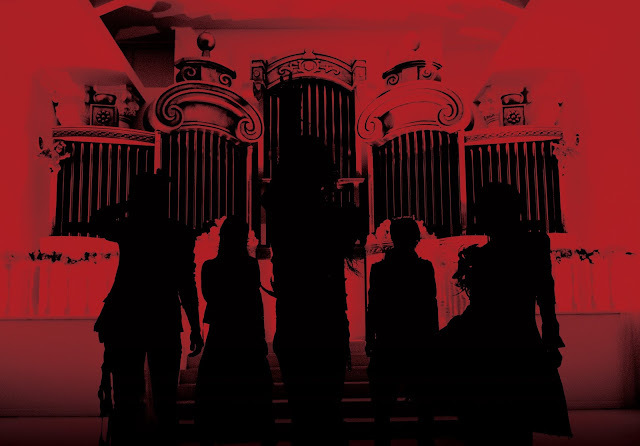 The band has also announced the release of their first mini album. "RED INVISIBLE" will be released on the same date as their one-man live "RED INVITATION" at Shinjuku ReNY on November 30th. It will come CD+DVD for 2700 yen and include a PV for "RED ZONE".